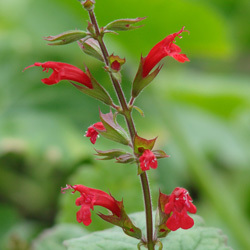 (Bolivian Sage) From early Spring to first frost, brilliant scarlet flowers on spikes up to 18 inches long adorn this Bolivian native in USDA Zones 9 to 11. Even if you live in a zone with colder winters, Bolivian Sage is spectacular as a bedding plant. 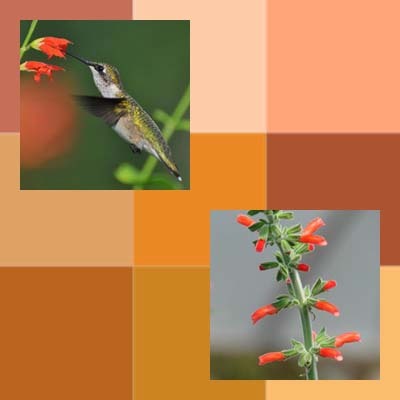 has been called Salvia coccinea on steroids due to its . needs rich, well-drained soil and full sun - but will grow in a wide range of soil, water and light conditions. (Bolivian Sage) From early Spring to first frost, brilliant scarlet flowers on spikes up to 18 inches long adorn this Bolivian native in USDA Zones 9 to 11. Even if you live in a zone with colder winters, Bolivian Sage is spectacular as a bedding plant. This plant has been called "Salvia coccinea on steroids." Bolivian Sage has smallish leaves but grows up to 8 feet tall in a single season. 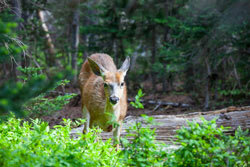 It blooms constantly from spring into fall, attracting butterflies, honeybees and hummingbirds yet deer pass it by. The flowers of Bolivian Sage are particularly dramatic due to the long anthers reaching out of each blossom. This trait gives Bolivian Sage its scientific synonym Salvia exserta, which means extending outward. Give this sage full sun to partial shade, regular watering and average to rich garden loam. Aside from being a floriferous screen or background planting, it works well in containers and cut-flower gardens. Warm colors tend to take center stage in a landscape as well as brightening the shade. 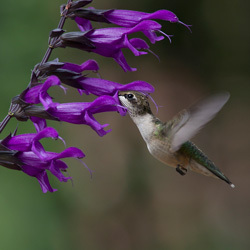 Yet warm colors generally aren't associated with shady sage (Salvia) gardens, because there are far more shade-tolerant sages in the blue to purple range. So we decided to poke around our catalog and pull together some hot choices that thrive in partial shade. 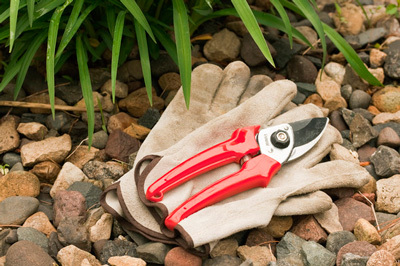 To make landscaping even easier, you may want to limit your choice of plants to one color. Massing is dramatic.